This section is like having an Alsatian Encyclopedia on your desktop. 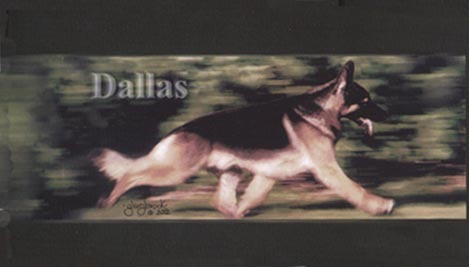 The web's first (1998) resource for GSD puppies, breeders, photos, German Shepherd history and health. Learn the distinctive breed qualities that only those who live with the GSD can really know and share. These responsible breeders provide candid insight on the German Shepherd Dog. Chat with them and if you then feel this is the breed for you, they can help you find a family pet or a show quality dog. The first side-by-side comparison between AKC/UKC and KC/FCI German Shepherd Dog Breed Standards (4 Standards! ), Judges education materials, fascinating GSD Breed History, grooming, training, and enjoying life with this capable Herding Dog, modern day hero and protector. What can YOU do for your breed? Help us inform over 1.2 Million individual visitors per year! We all have priorities and a method developed over the years, what's yours? Interesting German Shepherd Reference articles serves to protect your kennel name and bloodline. Someone helped you and you've tucked away knowledge, memories, old photos; now it's your turn to preserve the past and guide the future. Send this BREED Information Section to your friends!